The fight against the Islamic State of Iraq and Syria, commonly known as the Islamic State, just got a little more serious online. On 15 November, notorious hacker group Anonymous kicked off a massive cyber-campaign, dubbed #OPParis, conceived to wipe off the IS' influence from the internet, while the country fights to remove it from the map. In a video posted on YouTube, a self-proclaimed Anonymous member wearing the group's signature Guy Fawkes mask said, "Anonymous from all over the world will hunt you down. Expect massive cyber attacks. War is declared. Get prepared." The speaker goes on to promise "we will launch the biggest operation ever against you." 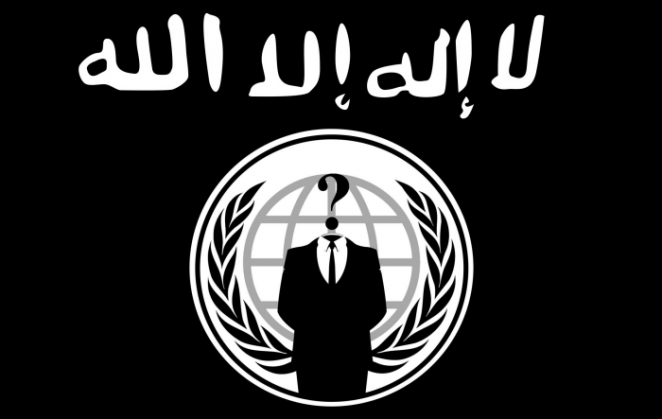 The hacktivists published a "Noob's guide" to countering the Islamic State online. Anyone can now sign up for the Anonymous' Operation Paris or #OPParis. The guide includes instructions to hack websites associated with the IS. It also has details on how to take down its social media accounts. As IB Times reports, "They include a 'Noob Guide' for anyone wanting to learn how to hack, a 'Reporter' guide that explains how to set up a Twitter bot for uncovering IS accounts, and a 'Searcher' guide for finding IS websites." 2. Open Terminal (or Command Prompt for Windows) and type (without quotes) "python". This link contains some search terms that relate to the IS, allowing you to narrow down the results. Paste the strings into the Terminal and press Enter. 4. Choose a couple of strings (3 recommended) from the list of strings. For this example we will use strings 3+38+46. 5. Once chosen, continue in the terminal (without quotes) "print(str3+str38+str42)" and copy the results. 6. Paste the results in https://www.google.iq and analyse the new results To Translate pages. It is recommended to use Google Chrome, which has integrated translation. 7. Submit any valid ones to one of the channel operators, who promise to deal with the information accordingly. "Instead of sitting idle in the [chat] channel or lurking around and doing nothing, you can benefit greatly from the different tools and guides that have been provided to you. Your contribution means a lot and we encourage you to partake in all of the Op's activities if you can, the more the merrier," the group announced in a post on the IRC channel, used by Anonymous to share information on #OPParis. The war of words and online action blew up in January after the terror outfit attacked the Charlie Hebdo headquarters in Paris. It heated up again with the 13 November Paris attack which left 129 people dead and hundred others injured. Though Anonymous claims that Operation Paris is the group's biggest operation ever, the IS has dismissed the hacker group as 'idiots'. The terror outfit has called the hacktivist group incapable of causing any sort of consequential disturbance. The ISIS posted a video in French language "celebrating the Paris terror attacks and warning they will 'strike at the heart' of the French capital again," reports Mashable. Since the launch of #OPParis on 15 November, Anonymous claim to have taken down 5,500 Twitter accounts of the pro-IS users. The organisation posted a tweet just a day after launching #OPParis campaign, aimed at shutting down social media accounts of the IS. It has also leaked details of at least five men it claims are recruiters for the IS. Anonymous activists also claimed to have identified a "high-ranking" recruiter living in Europe, but have not yet published an address. The online war waged against the group will weaken the very system of operations of the IS.